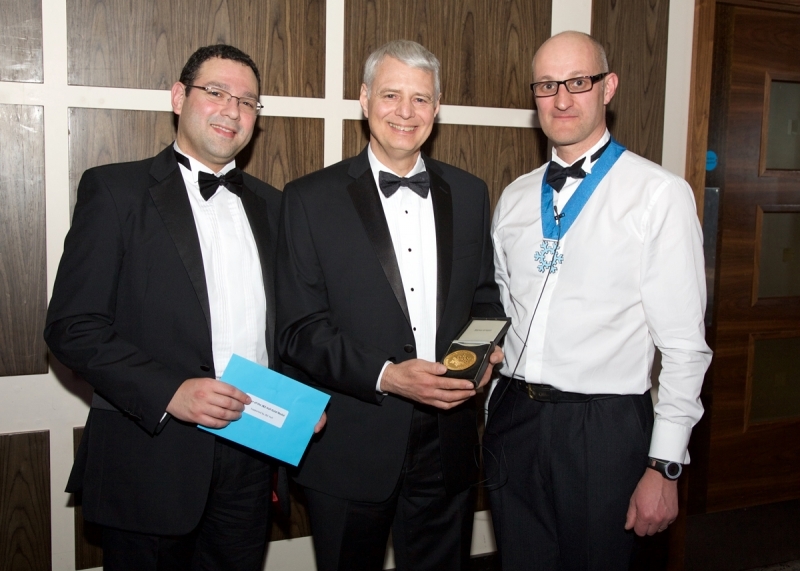 The Institute of Refrigeration (IOR) awarded Minta Martin Professor of Mechanical Engineering Reinhard Radermacher the 2015 J&E Hall Gold Medal for his contributions in the field of refrigeration. This award recognizes individuals for their outstanding practical contribution to the field of refrigeration, and the IOR Radermacher for pushing research frontiers through his exploration of new technologies and developing them for real-life applications. He is an international authority on energy efficiency and environmentally sustainable thermal systems research, and more than 60 organizations worldwide use the design and optimization software for heat pumps and air-conditioners he developed, enabling researchers, policy makers and designers to analyze life cycle estimates of natural and low global warming potential (GWP) refrigerants. Radermacher, who is both the director and co-founder of the University of Maryland's Center for Environmental Energy Engineering (CEEE), conducts research in heat transfer and working fluids for energy conversion systems—in particular heat pumps, air-conditioners, refrigeration systems and integrated cooling heating and power systems. His research has resulted in over 400 publications, numerous invention records, and 11 patents, and he is the co-author of three books on absorption and vapor compression heat pumps. In December 2014, Radermacher received federal funding through the U.S. Advanced Research Projects Agency-Energy (ARPA-E) program to create a mobile personal cooling unit for individuals that could follow the user and provide cool or warm air only where—and when—needed. Innovations like these could increase energy efficiency by reducing the energy needed to heat and cool large spaces like offices. Radermacher also represents the U.S. at the International Energy Agency Annexes 13, 34 and 40, is past vice president of Commission B1 and past president of Commission B2 of the International Institute of Refrigeration (IIR). He is an American Society of Heating, Refrigerating and Air-Conditioning Engineers (ASHRAE) Fellow, editor-in-chief for Science and Technology in the Built Environment and co-founder and co-owner of Optimized Thermal Systems which provides custom simulation software services and innovative solutions for energy conversion challenges. The IOR award selection committee reviews nominations from around the world—all of whom represent major drivers in the field of refrigeration. As part of the J&E Hall Gold Medal award, Radermacher will visit the United Kingdom to deliver a presentation of his work. IOR, based in the United Kingdom, provides a central resource for people from all over the world to improve the application of refrigeration and allied fields for the general good of society.